Texas Surveillance & Security is the leading provider of retail security cameras and retail security & surveillance systems in Houston and surrounding areas. Billions are lost each year in the retail industry due to theft from employees and shoplifters. 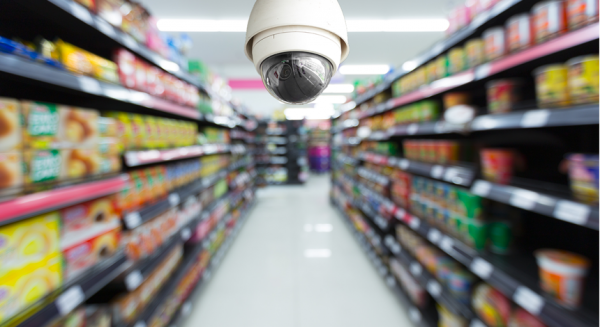 Retailers investing in an IP video surveillance system have an advantage and quickly benefit by reducing the problem. When selecting retail security systems, there are a number of choices, it’s important to determine the exact security system your retail store needs. There are a number of questions you need to ask yourself before you begin selecting cameras for your retail business. Will you need indoor surveillance only? Are there dark areas or isles of the store that need coverage? Will you need an outdoor or wireless security camera? These are just a few of the questions you will need to ask. Our team of retail security camera experts in Houston will help you along the way. We are the business security & surveillance company of choice and have worked with hundreds of clients in the Texas area. How to Select Retail Security Systems? Depending on the surveillance you need. Day and night visibility and high definition video surveillance are two examples of retail security systems available today. The body style will also vary, such as standard cameras or dome cameras with sleek compact designs. You may opt for a more visible camera if you want customers to immediately notice the surveillance. No matter what you choose, Texas Surveillance & security in Houston has all the latest technology and equipment available on the market to help you choose the best retail security system for your store. Where to Place the Retail Security Cameras? The goal is to make sure there is coverage in all areas requiring attention. Once we determine your needs, we ensure that your retail store is well protected by securing key areas. The goal of security and surveillance is not to only capture a thief but to also document any employee conflicts, and accidents that may occur at your store. Retail security cameras and retail surveillance systems will help you reduce theft, vandalism and properly document employee conflicts or on-site injuries and more. For 20 years we’ve been providing commercial security and surveillance installations in Houston. Ask us for a complimentary evaluation and detailed assessment for your retail store. We specialize in retail security solutions that not only meet your budget but exceed your expectations in quality without disruption to your business.